I hope everyone had a wonderful weekend! I had to work on Saturday but I enjoyed a relaxing evening that night and on Sunday we took a walk in the park and then later had soondubu with a friend for dinner. We didn't do anything St Patrick's day related but I did see a lot of people celebrating along the streets and at the bars. I still can't decide if I'm sad that I missed out on the green beer. 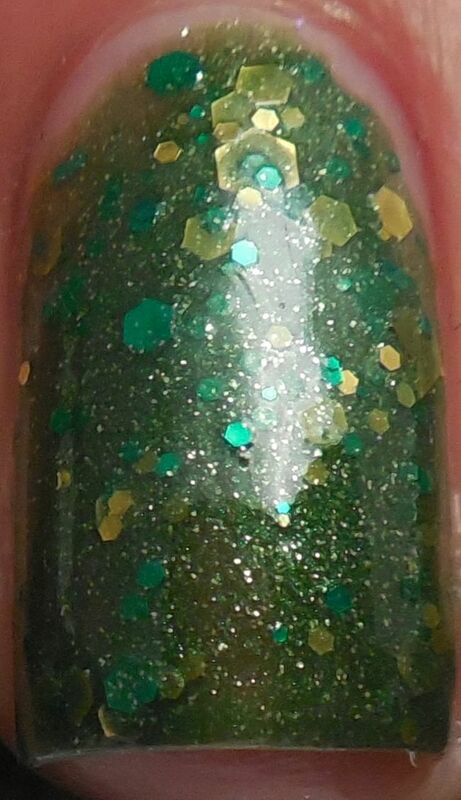 I'm late with my Saint Patrick's Day mani but hopefully you'll forgive me because it's a gorgeous Nerdlacquer that I've got in store for you tonight. 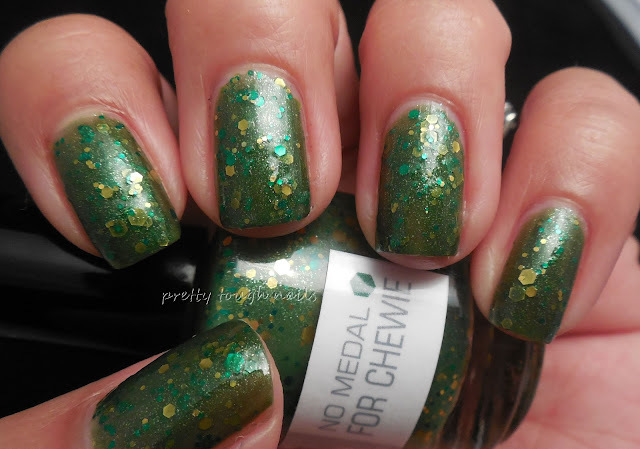 This is No Medal For Chewie, a fantastic shade of clover green jelly with gold shimmer and multisized hex glitters in green and gold. 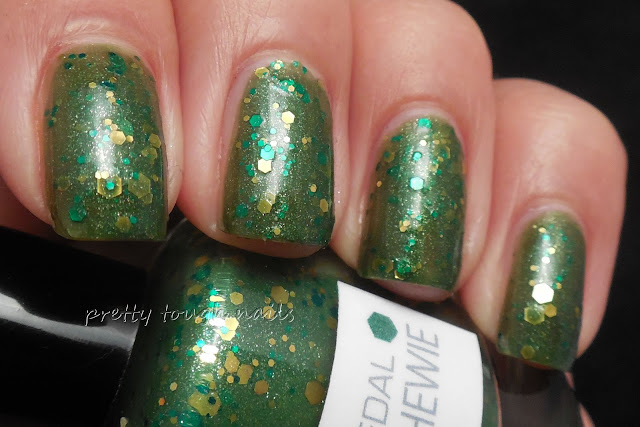 Formula was wonderful, I had no issues with the glitter dragging or clumping and it didn't dry slowly. It dried a little gritty so I used a layer of Poshe but in hindsight I could have used a layer of Gelous as well. I think this is the perfect green polish for St Patty's day because it's got the gold contrasting with the green, just like a leprachaun with his lil' pot of gold. 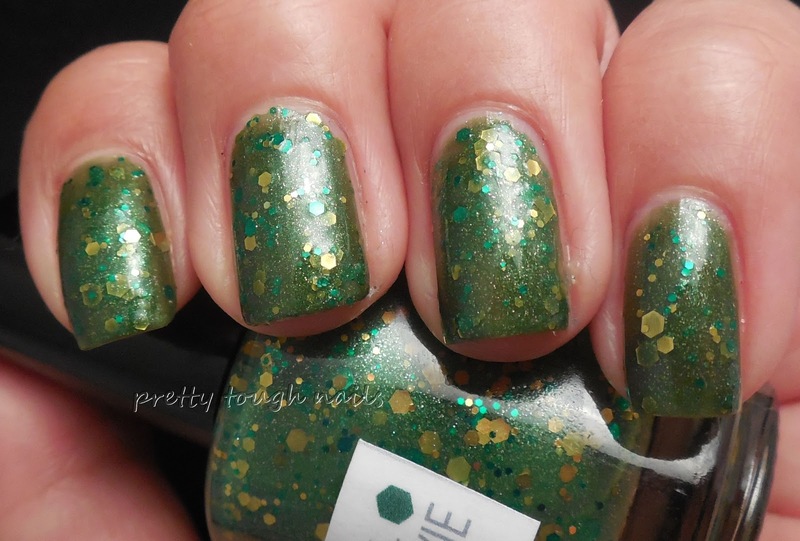 Green is my favorite nail color and I really enjoyed seeing everyone's green manis today. 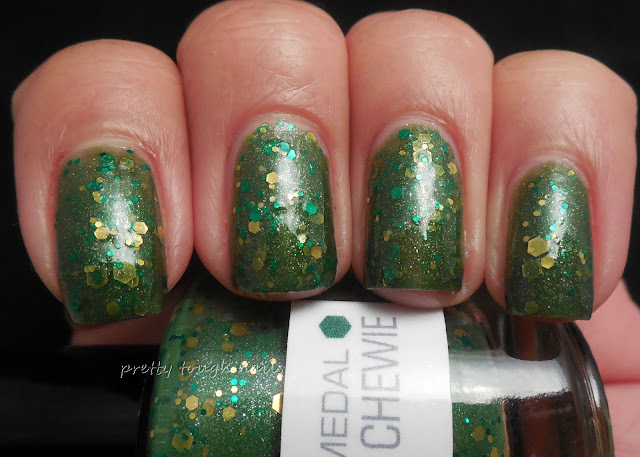 Did you wear a green polish? If so, I'd love to see it!